We made the list! Corra was named one of 2013’s Best Places to Work in NYC by Crain’s Business New York! Best Places to Work spotlights New York’s best employers as determined by an employer survey of company benefits and policies and an employee survey of engagement and satisfaction. For those who don’t know, engagement is key to a successful (and productive!) workplace. According to Crain’s, among employees nationwide, only 41% can be considered truly engaged at their workplace. Among the 2013 Best Places to Work cohort of companies? 94%. Engaged employees are more likely to build careers within their company, recommend the company to friends, and take pride in its brand. This year’s Best Places to Work in NYC honorees range from other agencies like Big Spaceship, Horizon Media and Undertone to large corporations like Microsoft. In addition to being ranked in this year’s list, we were invited to participate in a panel discussion at Crain’s Best Places to Work Luncheon, which took place on Friday, December 6 at Intercontinental Times Square. Corra’s COO Michael Harvey, along with three other honorees, discussed strategies for creating an award winning company culture and retaining the industry’s top talent. Check out our profile at Crain’s New York. 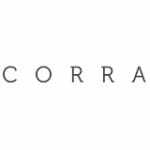 Visit here to learn about Careers at Corra. And don’t forget our press release at Digital Journal.